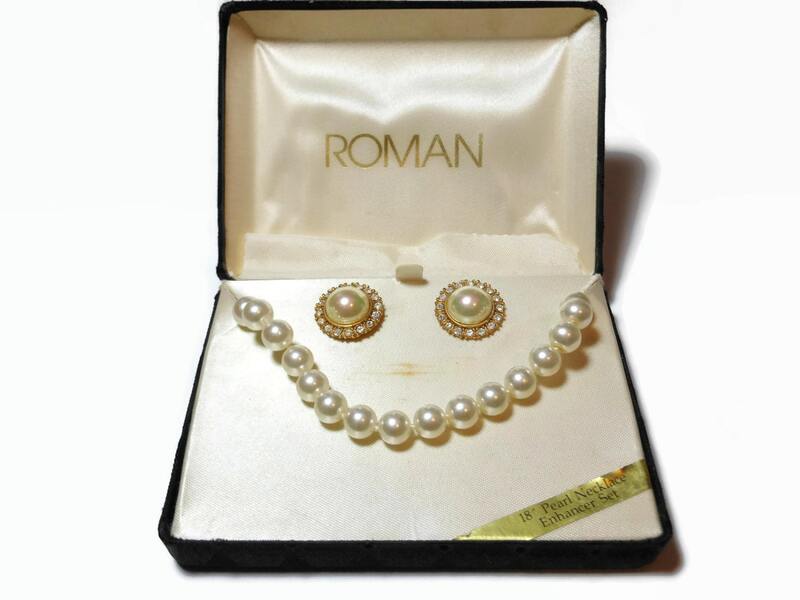 Bridal pearl necklace earrings set, Roman jewelry faux pearl necklace, pearl cabochon earrings, rhinestone border, gold plate, original box. 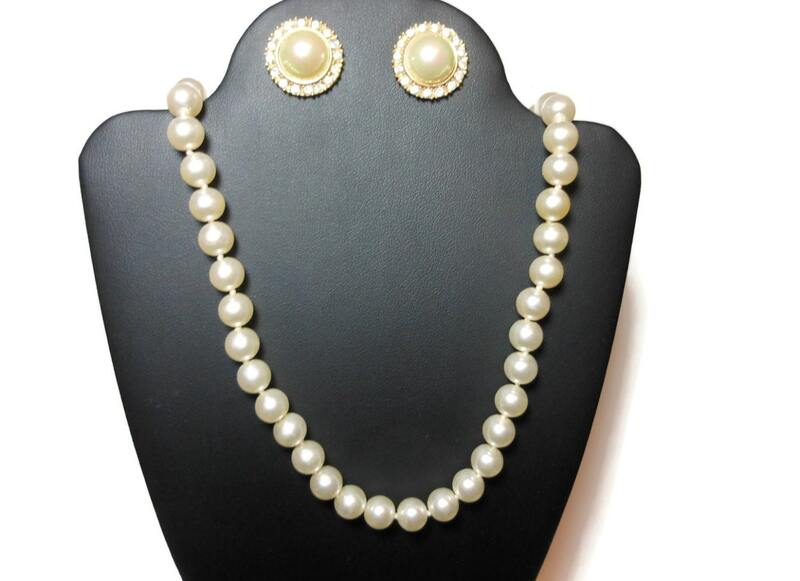 Lovely set with hand tied knots between pearls. Wonderful for wedding, prom, or any formal event! Would look lovely on a bride. 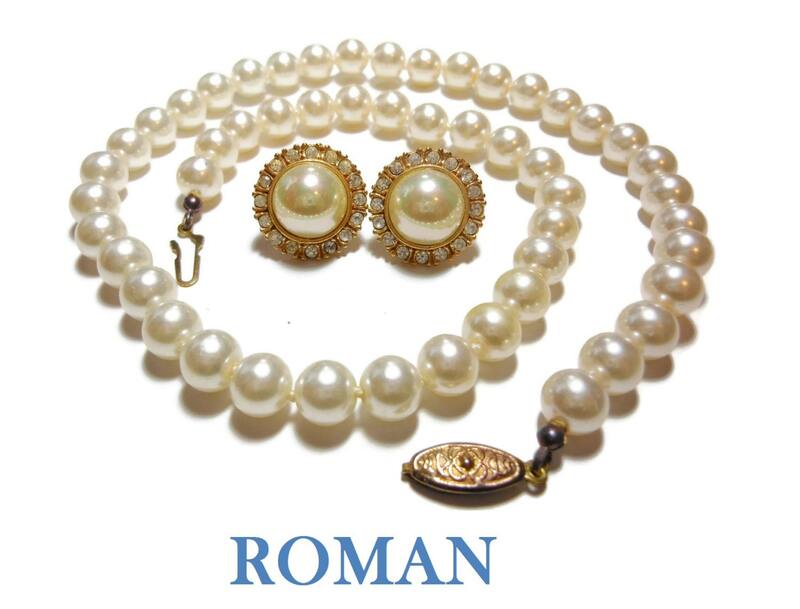 The pearls are 18" (45.7 cm) long and the earrings 3/4" (1.9 cm) in diameter. They are in very good vintage condition. 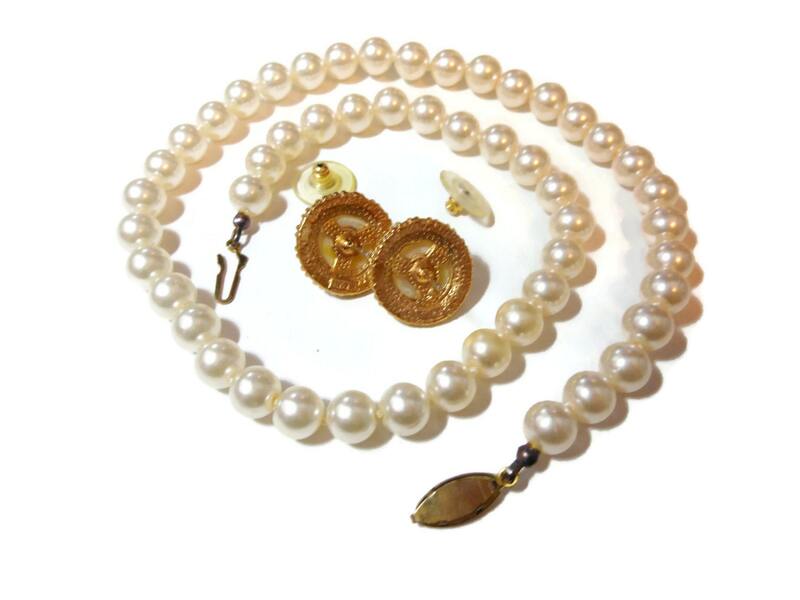 The originally included enhancer (pendant with bail to add to the pearls) is missing. 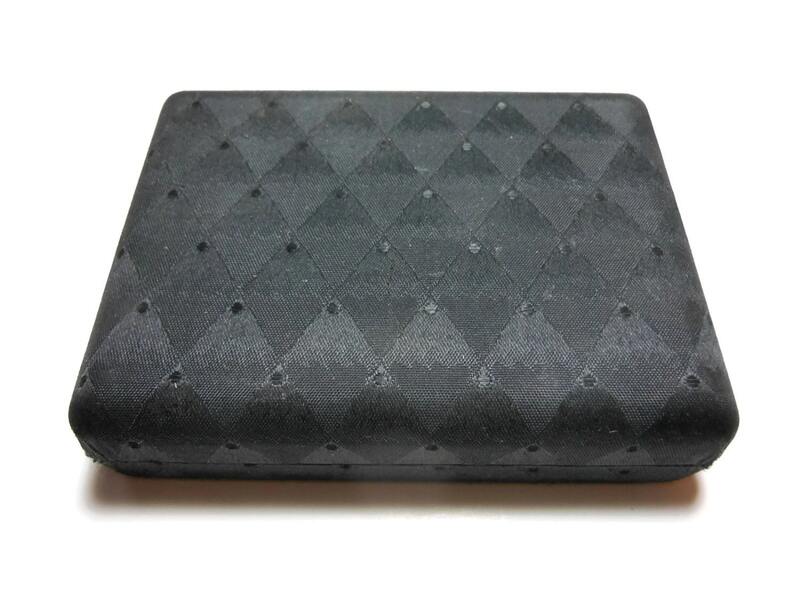 Presentation box has some wear to it and is rusted underneath the fabric inside.